Results of a recent study conducted in Great Britain indicate that women are greatly underrepresented in prominent areas of the horse racing industry. The study, which was the first to look into gender diversity in the industry, was commissioned by the group Women in Racing (which seeks to develop the profile of women in the sport). It was researched by Oxford Brookes University, and funded by the Racing Foundation charity. BBC Sport reported the results of the study Wednesday. According to BBC Sport, close to 400 people took part in the study; nearly 80 percent of which were female. The results show that more women start working in racing after having completed college. 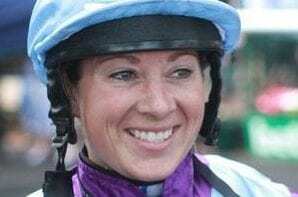 This entry was posted in People and tagged bbc sport, British racing, female jockeys, Hayley Turner, Horse Racing, thoroughbred, women in racing by Paulick Report Staff. Bookmark the permalink.